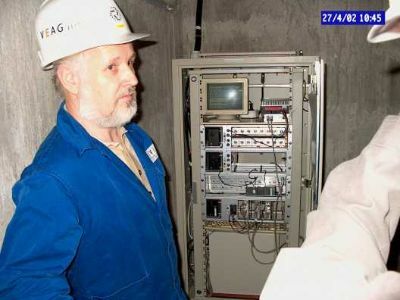 The Digipeater DB0KEU is located in Schwarze Pumpe (JO71EM). It exist now more than 10 years and helps us to communicate with Packet-Radio. 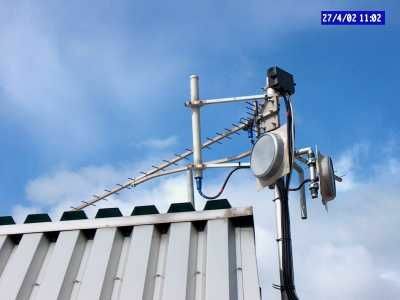 I startet to built up first 23cm-tranceivers, modems and antennas in 1993. The eqipment is installed in the Vattenfall Powerstation, 160m up over the ground .The pictures shoes the digipeater and antennas.